Howdy! So this is our first entry in what I’m calling the “Corral Countdown.” I think that title needs some work. But the title isn’t important! 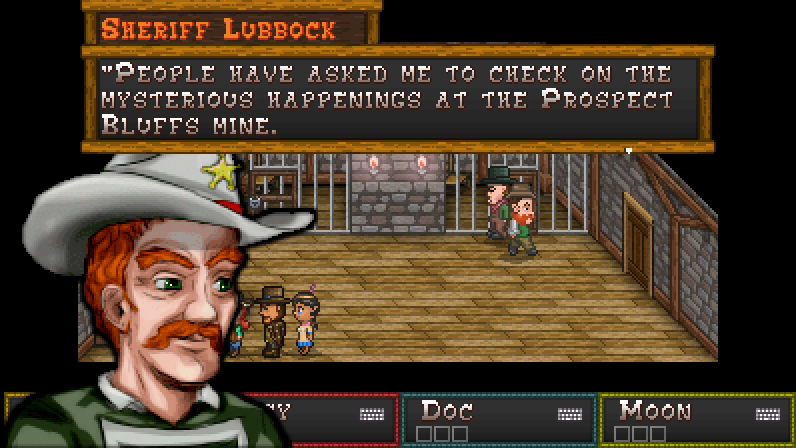 What’s important is that each weekday up until release, I’ll be talking about something I want people to know about Boot Hill Bounties. If you’ve seen our first batch of screenshots, you probably noticed a few large character profiles in the scenes. 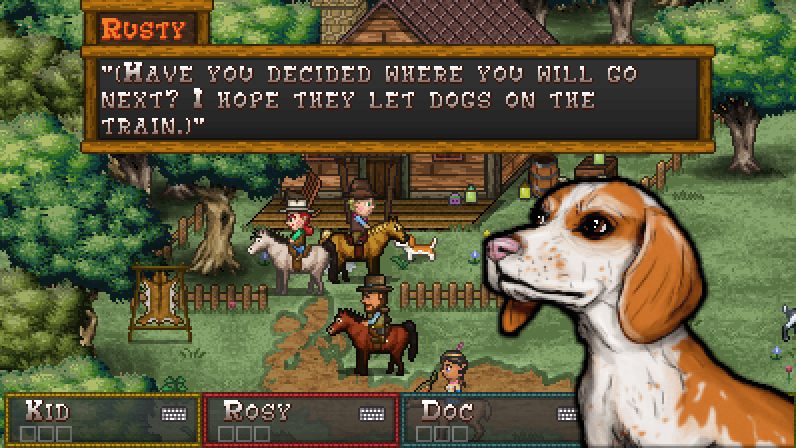 This is a new feature in Boot Hill Bounties and since these character profiles are featured heavily throughout the game, it made sense to talk about them first on this countdown. What inspired this feature? Since there are a lot of scenes in the game I felt like there needed to be more of a visual cue to specify who was talking. I hope when people see the character images, they will read the dialogue in the voice of that character. Not all the hundreds of characters in the game have these profiles of course. But the major players do, there are about 28 of them in all. 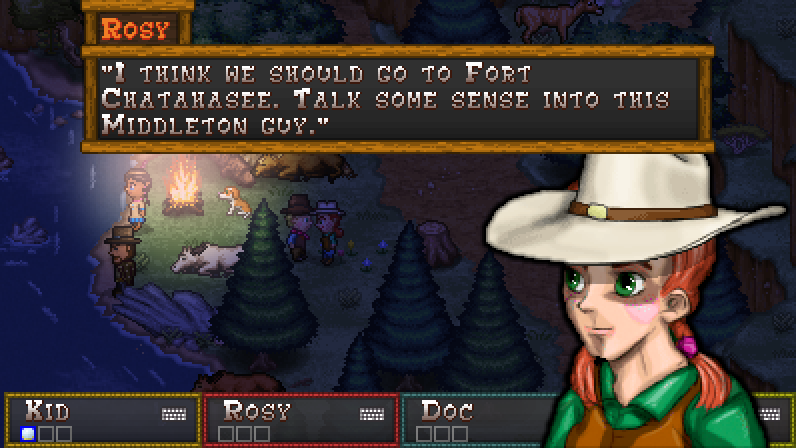 Fans of Boot Hill Heroes know that changing the hat worn by characters will change the sprite of that character too. So you may be wondering, does it change their character profile too? The answer is yes! Speaking of hats. 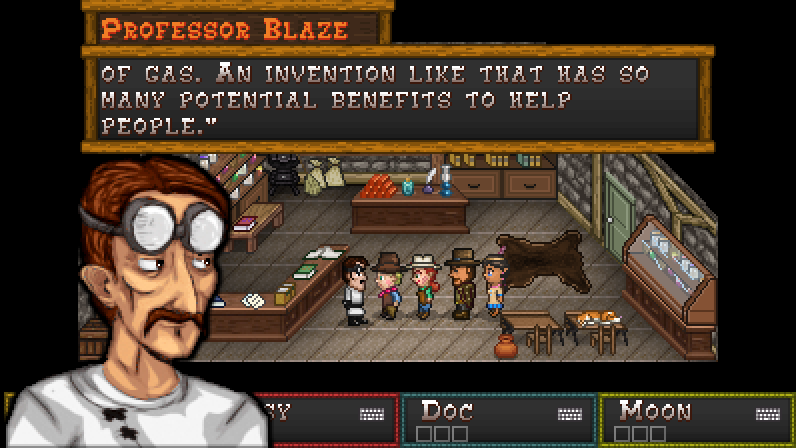 Tomorrow we’ll talk about one of the first new hats you will acquire in Boot Hill Bounties.